"Monk shoes can replace any business or casual shoe, adding a contemporary note to your getup – from jeans to tailoring. They’re even better if you struggle to lace your shoes up correctly (one less worry in your life). These are new to our collection, made with brogue detailing for that extra dose of Britishness we’re well known for." 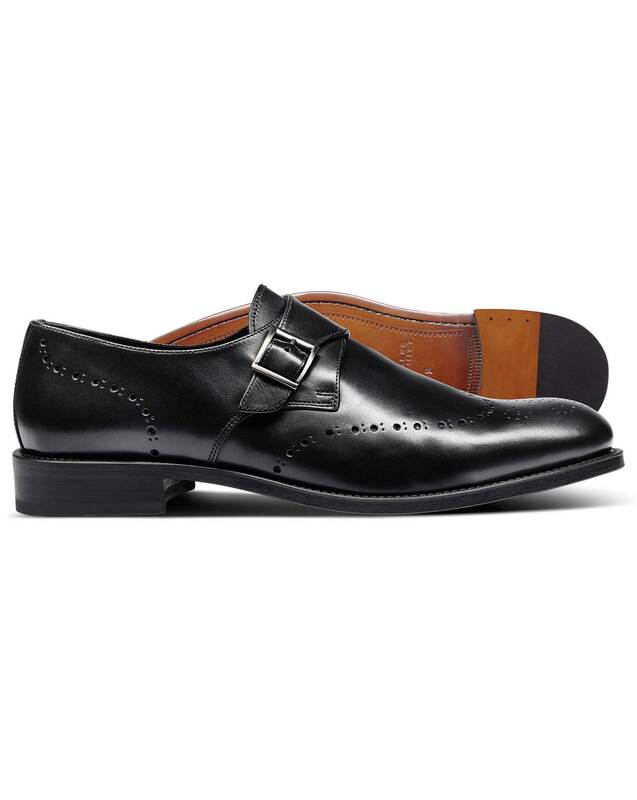 "Monk shoes made from leather with brogue detailing. Ideal to finish business casual looks." Response from Charles Tyrwhitt: We are very sorry that your new shoes did not fit you have expected, which we can imagine is rather frustrating. Kindly be informed that we do currently only offer the Black brogue monk shoes in a Regular Fit, rather than in both Regular and Wide fit, nevertheless, we shall indeed consider offering the Wide fit in our upcoming seasons. A small fee of £2.80 is charged to return a parcel to us via Hermes, however, please note that exchange parcels are posted free of charge. Not cheap but it's a quality product.